Get Free Shipping on all orders over $75 and free returns to our USA returns center! Items are dispatched from the US and will arrive in 5-8 days. Get Free Shipping on all orders over $75 and free returns to our USA returns center Items are dispatched from the US and will arrive in 5-8 days. 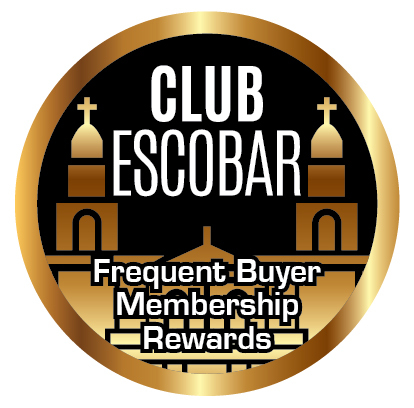 Escobar premium hand-crafted cigars are cured, aged, and blended with vintage sun-grown tobacco leaves. Their aroma, taste, and consistency are guaranteed by the traditional Cuban cigar making process that Escobar Cigars has established as a standard from multiple generations of Cuban cigar makers.